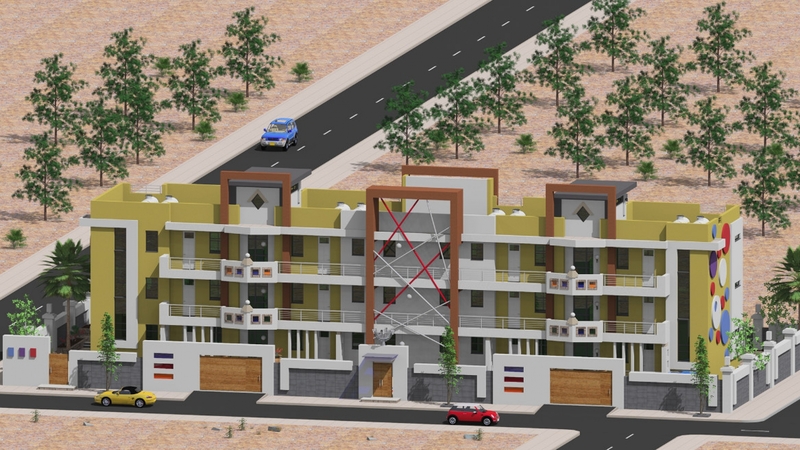 Private client requested guest houses to be designed on private land in the west side of Hargeisa city, on a plot measuring 48m by 21m. 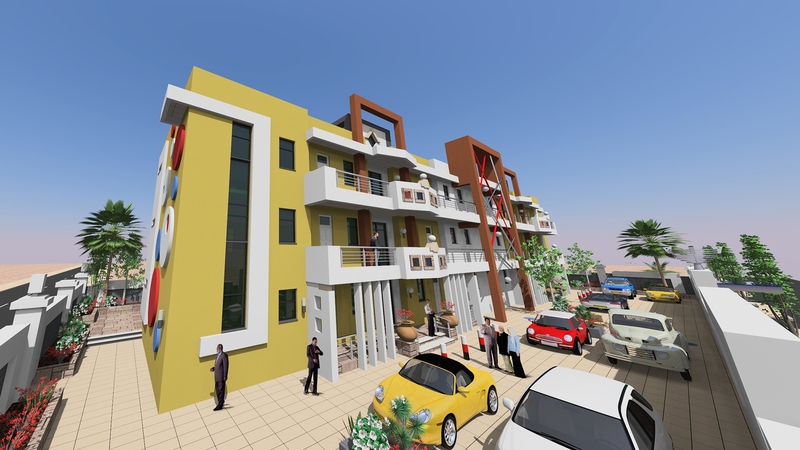 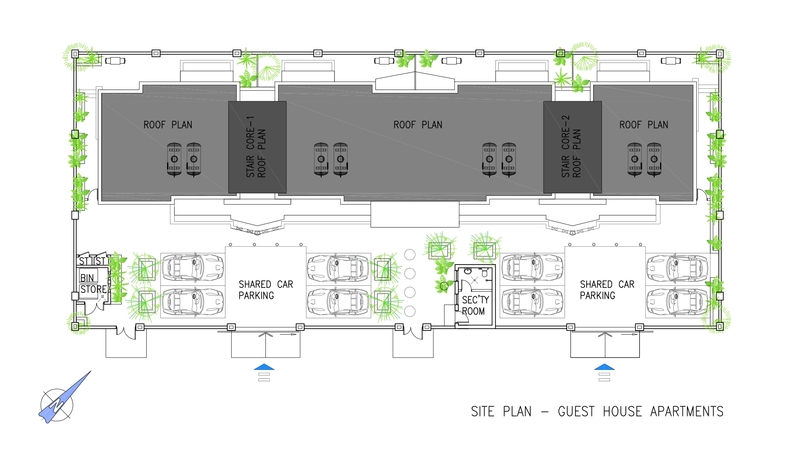 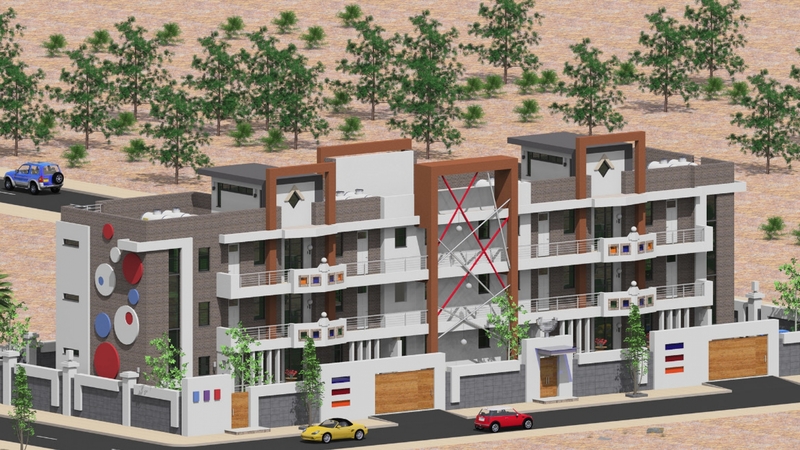 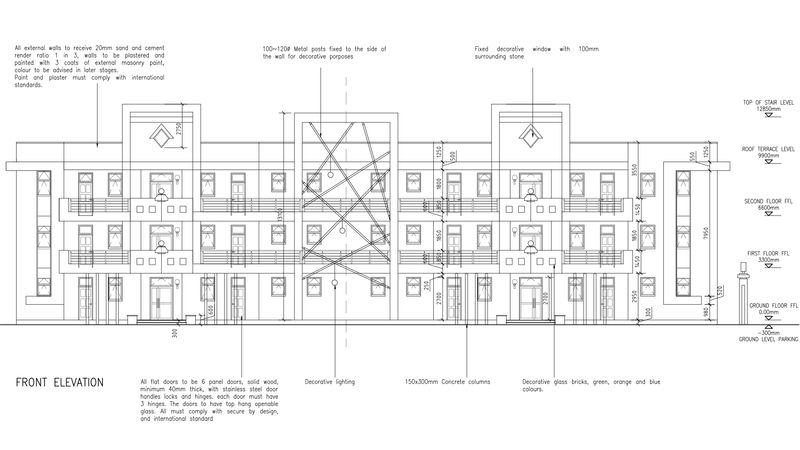 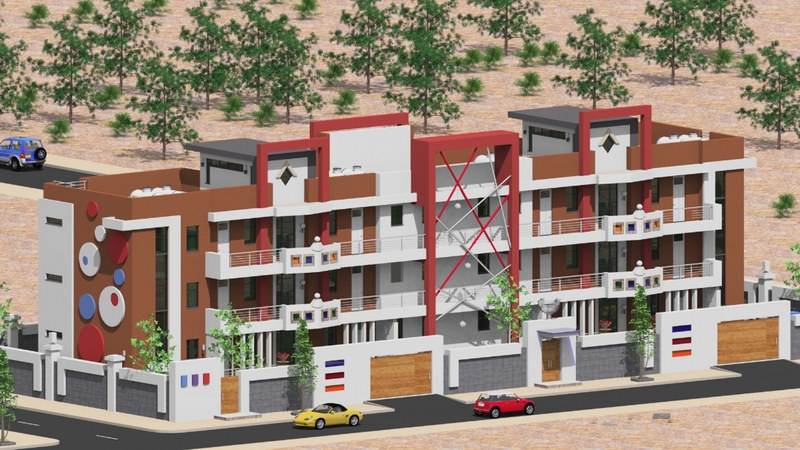 After examining and surveying the site we curried feasibility study and we managed to fit 3 story building, 12 apartments in total, 4 apartments on each floor with landscaping, verandas and entrance porticos, these 12 units is designed as one-bedroom, and two-bedroom flats with living and dining. 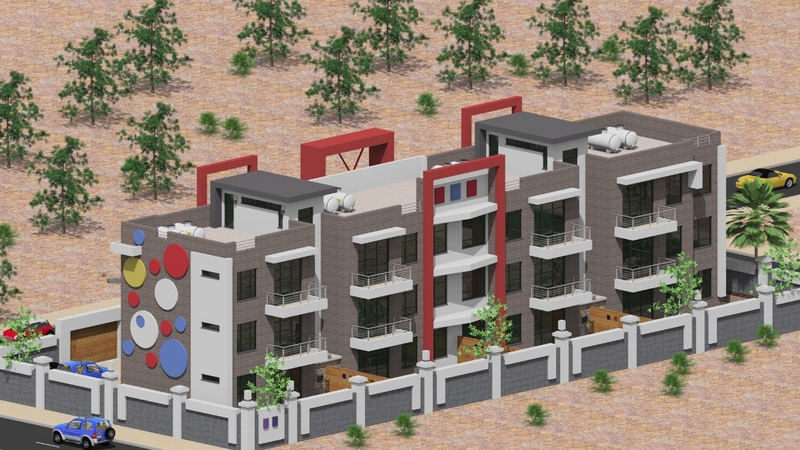 The apartments is designed to take one more floor on the top, consideration is given to the main structural frame of the buildings with columns and concrete slab.